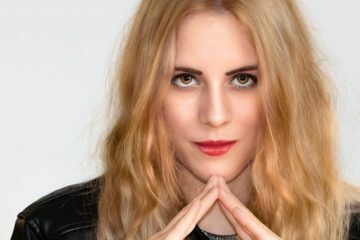 Your EDM debuted Ámaris Wenceslas as a solo artist earlier this year with her ambient/pop mashup of a first release, Neon Colors. Ámaris had gained quite a bit of notoriety in the EDM prior to Neon Colors with her collective project called Geiko, which straddled a number of EDM sub genres, including but not limited to house, minimal techno and even trap. 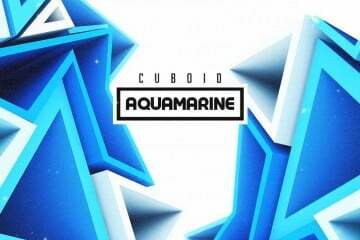 Now she’s back with here second full-length album in six months, Aquamarine, which has some noted differences to Neon Colors but is still definitively Ámaris. Neon Colors was a bit of a stunner when it came out, whether the listener was aware of her previous work with Geiko or not. Full of soul and grass roots blues vibes, Ámaris’s first solo album also had lots of interesting syncopation, interesting and EDM-driven beat patterns and a lot of unconventional vocal and melodic conbinations. It was a bit experimental and weird, but it worked and really showed what Ámaris could do on her own. Aquarmine is both more pop and more EDM than Ámaris’s debut album. Her sophomore effort is generally more focused and a little less experimental than Neon Colors, with tracks like “London Lights” and “Kiss It Or Leave It” fused with R&B vocally but with much less musical backing that a usual pop R&B track. Other tracks are more driven by ambient sounds, such as “Crazy” and the album closing title track, which are so minimal beat-wise, one might wonder if they are actually a cappella. 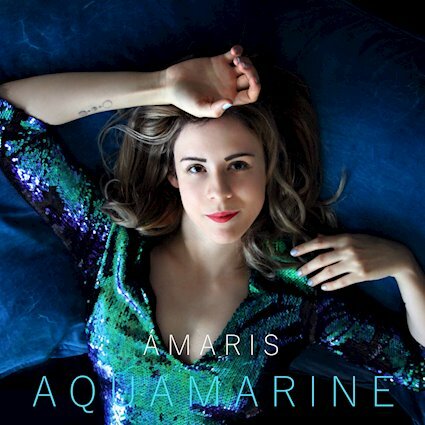 Despite the number of styles and the more pop/R&B tone of Aquamarine, Ámaris’s vocals on this album are consistently interesting and different, with lots of syncopation and tempo changes despite the fairly consistent beat structures in most of the tracks. It’s an interesting mix, as her vocals are definitely in the R&B and nu soul wheelhouse, but the unconventional structure really takes them somewhere else, closer to EDM or ambient electronica. The closest parallel to Aquamarine would be slightly more minimal FKA Twigs, but really Ámaris is completely unique in her style. Despite going a little more pop-focused on this album, her solo work can be enjoyed by fans of multiple genres, including very much still EDM. Aquamarine by Ámaris released just a couple of weeks ago on June 27 and can be streamed on Spotify with some tracks available on Soundcloud for streaming. It can also be streamed or purchased on ReverbNation.